Thunderkick takes us on a trip back in time, to the ancient civilisation of the Inca Empire, one of the largest empires in the world, which flourished in ancient Peru thousands of years ago. You’re given the chance to go on an exciting historical adventure to explore the secrets of an ancient temple. Jaguar Temple is played on the entrance of a temple, with burning fire on both sides and a mesmerising sunset background. There are 5 reels and 3 rows played over 20 paylines. The RTP rate is a really good 96.10% and the volatility is between medium to high. That being said, let’s dive into the treasures that lie inside this Incan Empire themed slot. There are 14 fixed stakes to choose from – which you’ll be familiar with if you’re a frequent player of Thunderkick slots – starting at € 0.1 up to € 100. The symbols are all fossilised deep into pieces of rock, and you’ll see a variety of stone encasings like birds, dogs, rabbits, fish, and jaguars. There are also 4 playing card symbols; hearts, spades, clubs, and diamonds set in the rocks. The gold jaguar symbol is definitely the most important symbol and it can occur as a normal sized symbol or as an oversized 3x3 symbol as well. What’s more, during the bonus game, the oversized jaguar will occur more often. The wild symbol is a blue-faced mask, and this substitutes all symbols and will expand to cover a whole reel during the bonus game. The only symbol it won’t substitute is the scatter, which is a gold and pink symbol. A minimum of 3 scatters trigger the bonus game, earning you 10 free spins! For 4 scatters you get 15 free spins and for a combination of 5 scatters, you get 20 free spins. If you get just another 2 scatters, award you with another 3 free spins. More free spins can be re-triggered if you get more scatters landing on the reels during this round! The roaring jaguar is the symbol you want to see frequently on the reels, multiplying your bet by 50x if you get a hit of 5 matching symbols on a payline! The purple and yellow fish engraving is another important symbol, followed by the rabbit, which are worth 25x and 20x your bet respectively. The dog and the bird symbol are medium value symbols, while the playing card symbols have the lowest payouts, as you might expect. The symbols on Jaguar Temple are curiously strange and they definitely caught our attention! There’s a lot of detail but into the animal designs, and they really look like some drawings you might find in an ancient Incan temple! The colour scheme is also original, and the burning fire on both sides of the reels just perfect the scene perfectly. You’ll be playing against a dark sunset with little sparks of fire flying around. The banging of drums is heard in the background, as you might expect for an ancient civilisation themed slots. The icons on the game panel are a bit more original than usual; you’ll find a paper document icon which will take you to the rules of the game, and underneath it, is a trophy symbol which leads you to the paytable. The paytable is updated according to your bet, so you can adjust your bet a few times to see what each symbol is worth, which will also help you decide how much you want to bet on each spin. 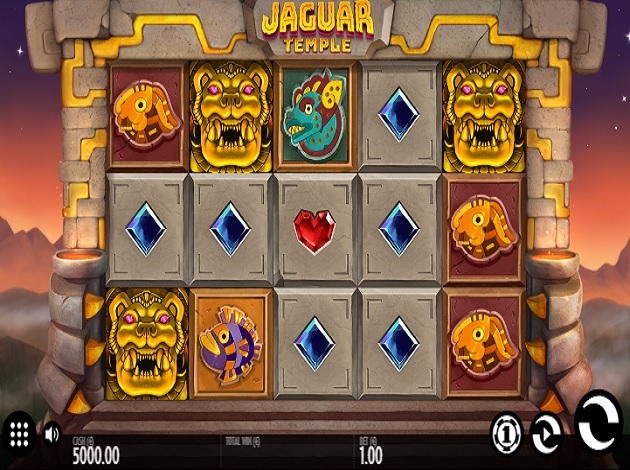 Jaguar Temple also comes with an autoplay option, and you can spin automatically for any number of spins between 5 and 5,000. You can stop the round at any time and you can choose to stop it automatically when a feature is won. Jaguar Temple has everything going for it: great graphics, great design, and an interesting theme that’s well incorporated in all aspects of the game. Add to that that’s it’s super easy and smooth to play and comes with generous payouts and you have one roaring slot. Don’t miss out and give Jaguar Temple a spin! Thunderkick is a quite young company that develops slot games and a related gaming platform. The company is located in Stockholm, Sweden. Thunderkick’s simple goal is to contribute to a change in the gaming industry by enhancing the overall user experience of an online casino. Thunderkick is founded by a team with years and years of experience in gaming and game development. All of the game development and platform development is done in-house. Thunderkick is driven by a passion for developing amusing games and always strives to let quality come before quantity. Contributing factor to the success of Thunderkick’s games is the high entertainment value delivered through very rich graphics, wonderful bonus games, awesome animations and innovative features and functions. We believe the Thunderkick’s products speak for themselves. 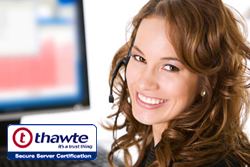 Their development team always maintain the highest level of quality on everything they produce. Thunderkick is defining its own style by creating the perfect balance in the games they produce great graphics and excellent animations. They deliver quality games – the kind of games we as players would enjoy. Thunderkick creates video slots that are definitely worth playing. They always deliver exactly what the market desires and what both the gambling operators and players need. They do this with a lot of passion. Their purpose is simple - to create one of the world’s greatest gaming experience. Their games include Esqueleto Explosivo, Birds On A Wire and The Rift, just to name a few.